The incidence of asthma is growing in number and severity and most people are either put on medication or are using over the counter drugs to deal with it. Dr. F. Batmanghelidj in his book “Your body’s many cries for water”[i], explains a very important point that has been overlooked when treating this condition: dehydration. Inadequate water consumption has an impact in the development of asthma and this should be addressed before prescribing any medication. 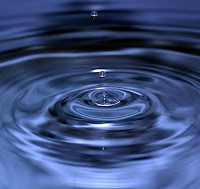 The human body is composed of 75% water and it has systems that regulate its distribution. Those systems of “drought management”, have established certain priorities according to the importance of the organs (for instance, the brain is treated with the highest priority). Histamine is in charge of the water regulation system so when we don’t drink enough water, it becomes overly active. If the dehydration becomes chronic, too much histamine is released and can cause allergies, asthma, and chronic pain in different parts of the body. But these conditions should not be treated with medication (i.e. antihistamines) because they are signals telling us that there is a shortage of water in your body. If a state of chronic dehydration in the body causes asthma, the person will experience increased respiratory distress, coughing and excess mucous secretion. All that bronchial constriction is caused by increased levels of histamine in the lung tissue. The lungs need water to keep the air passages moist and to prevent them from drying up when air circulates in and out. Therefore, the release of histamine in the lungs is really a response from the body to preserve its levels of water in an organ that is a major site of water loss. The minimum daily water intake should be 6 to 8, 8oz glasses per day (alcohol, coffee, tea and caffeine-containing beverages do not count as water) and the best times to drink it are half an hour before taking food and two and a half hours after each meal. A rule that can be used to calculate the number of glassed needed is to drink a half-ounce of water for every pound of body weight. On average, a patient suffering from asthma should see positive results after three to four weeks of regulating their body water levels (Batmanghelidj 135-136). Something to keep in mind is that the increase of water intake should be done gradually and sustained on a daily basis. Overdrinking or “binging” in water for a few days is not going to undo the damage of months or years of chronic dehydration. Watching the levels of potassium intake is also recommended for asthmatics because high amounts of it can promote the increase of histamine production. A good example of this is orange juice, which has a very high amount of potassium, therefore, a maximum of two glasses a day should be consumed. 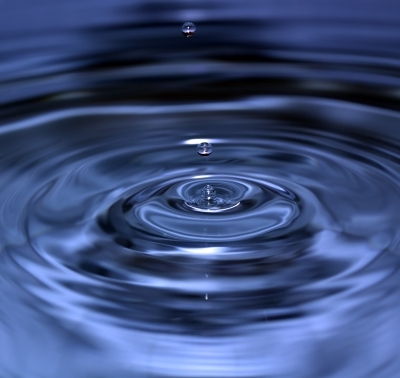 In regards to the quality of drinking water, it is ideal if the patient uses filtered water. Chlorinated water, besides causing skin irritation and destroying the friendly microflora of the digestive track, forms free radicals and promotes oxidation (it can for instance deplete our vitamin E reserves). Even worse, chlorinated water contains chemical compounds called trihalomethanes, which are carcinogens that result from the mix of chlorine with organic matter. These chemicals can cause mutations by altering DNA and can also suppress the function of the immune system. In addition, chlorine has been proven to aggravate asthma in children, especially in those who get exposed to it by frequent use of swimming pools[ii]. It is refreshing to find theories that offer new options for the prevention and treatment of conditions like asthma, which affect an increasing amount of people every day. Keeping the body hydrated with good quality water is the goal. It seems so simple that many people, including doctors, have completely forgotten its value. I don’t think that water alone can cure asthma, because it has also been proven that exposure to allergens (environmental and in food) are major factors in developing this condition. However, the explanations mentioned above, about how the body regulates its water levels with the help of histamine make total sense. I think that water therapy is definitely worth trying and maintaining in the long run because it will be extremely beneficial for your general health. The other lesson here is that medication in many cases works against you and can make you ignore your own body’s signals for help. Like Dr. Batmanghelidj points it out in the cover of his book: “You’re not sick; you’re thirsty. Don’t treat thirst with medication”.